News from Libya have seldom been positive lately, which in and of itself, is not cause for alarm. Freshly liberated from the despotic and megalomaniacal rule of Colonel Qaddafi, this heavily tribal society still wrestles to find its path for political and socio-economic progress. However, news reports of eastern Libyan leaders’ declaration of “semi autonomy” in the oil-rich region of Libya has caused quite a stir in and outside Libya. 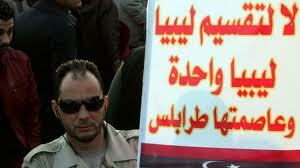 More importantly, the declaration was made in the city of Benghazi, cradle of resistance against Colonel Qaddafi. Despite reassurance that the move is not meant to divide the country, a unilateral proclamation of autonomy may affect the territorial and institutional unity of Libya. According to the tribal representatives, militia commanders and politicians that made the declaration, the eastern region will have policing powers, its own parliament, courts and capital. Foreign affairs, military and oil will be administered by the central government. The central government currently runs by the caretaker National Transitional Council offered no resistance to this move so far. Its interim leader Mustapha Abdul Jalil rejected talks of military action against the eastern tribes, for the simple reason that the National Transitional Council (NTC) does not have the military capabilities for such undertaking. Instead he blamed foreign powers for sowing the seeds of division inside Libya, and the poor performance of his own NTC. The eastern declaration will in all likelihood be subject to intense negotiations behind the scenes between the NTC and the major factions in the East, that increasingly feel a bias towards the west from the current interim government. However, it also points o the fact that Libya is still unstable months after rebels ousted Qaddafi with the help of NATO. The process of stabilizing and rebuilding Libya faces three monumental tasks: the vacuous nature of the state bequeathed by Qaddafi, the refusal of decommissioning by the armed militia, and a general sense of mistrust among the major tribal factions in the country. Each one of these issues is potentially critical for the future of Libya and could make the country susceptible to major instability. Four decades of despotic rule of Qaddafi have had a devastating effect on Libya. More than any other Arab states affected by the Arab uprising, Libya stands as an oddity where the ancien regime left little to no institutional legacy. In Qaddafi’s Libya, there was a complete institutional void. There were hardly any institutions, and where they existed, they were inchoate and partially formed. Gaddafi had veto power over all decisions, not as a president, but a leader of the revolution. Much of the edifice of the state was shaped in the image of the mercurial Qaddafi and sustained by a dizzying number of populist rubber stamp committees. The military was completely gutted and replaced by armed platoons under the command his sons and tribal allies. As a result, Libya today lacks a state apparatus, an organized military and foundational institutions to ease it through this period of transition. Libya also features significant tribal fissures. For four decades, Gaddafi played tribes against each other, and there are still significant tribal rivalries in Libya. Years of wily and cunning strategy by Qaddafi resulted in a tribal landscape hardly conducive to the establishment of a sense of national unity. Qaddafi co-opted most of the western tribes during his rule bestowing patronage on his own tribe al-Qaddadfa, and other tribes in Sirte. The recent Eastern proclamation of autonomy is rooted in a perception of years of discrimination against Cyrenaican tribes and region in Libya. During the uprising in 2011, there were many reports of inter-tribe violence and acts of reprisal in the aftermath of Qaddafi’s fall. Not lacking in arms, each tribe is well equipped with heavy artillery in including, machine guns, rocket propelled grenades and even landmines. Reports also suggest that hundred of thousands of guns and ammunition were taken by various anti-Qaddafi militia groups during and after the fight to topple Qaddafi. My own sources in Libya at that time suggest that Qaddafi himself opened up his gun depots for local residents in Tripoli to obtain various sorts of heavy weapons. Most of the militia have thus far refused governmental appeals for arms decommissioning, which complicates the task of the NTC to secure order and stability in the country. The existence of armed groups has also inhibited the efforts of the nascent government in Tripoli to impose the law and administer justice. Amidst reports of militia vigilante violence, the NTC is gradually losing control over an increasingly fractured society bordering on lawlessness. After 42 years of repression and tribal divisions, many Libyans mistrust the state and are wary of opposing tribes. Weapons have thus become a deterrent source of safety. Libya like most of the Arab states that deposed their autocratic leaders, is at a critical juncture. Much of its future depends on the ability of the transitional government to navigate through these three thorny issues. Without a disarmed society and strong transparent institutions of government, the prospect for positive change is limited. Promise of a peaceful and free society is still within grasp, but there is also a great deal of peril if the construction of a national identity that transcends local tribalism fails.